Our Director of Business Affairs, Glenn McGuinness, has over 25 years’ experience in the Arts and Entertainment Industry in senior executive positions working with ticketing companies, venues and retail. Following seven years managing art galleries on the east coast of Australia, Glenn joined Ticketmaster in 1998. Over the following decade, Glenn held several general management roles overseeing business development, marketing and operations. 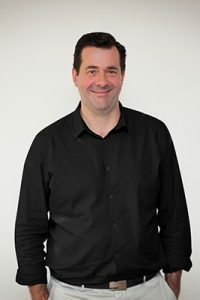 During his tenure at Ticketmaster, Glenn oversaw the entry of Ticketmaster into several new markets including Western Australia, South Australia and New Zealand. In 2005/6, Glenn managed the commercial and operational components for the 2006 Melbourne Commonwealth Games selling a record 1.67million tickets. In 2010, Glenn joined Marriner Group as General Manager overseeing operations at the Regent, Princess, Comedy and Forum Theatres. Over the next seven years the venues played host to a diverse range of shows including musicals such as The Lion King, Matilda, Book of Mormon and King Kong as well as numerous concerts by local and international artists such as Madonna, Pink and Paul Kelly. Glenn has also worked as a consultant to ticketing companies, promoters, producers and venues across Australia providing specialist advice on ticketing, audience development, programming and maximising commercial outcomes.